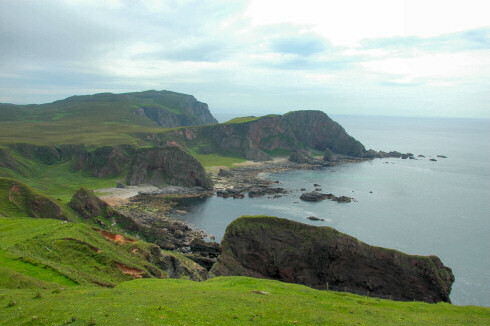 As you can probably guess without much difficulty it's a view on The Oa in the far south of Islay. The view is over Port nan Gallan and Dùn Athad. In the distance Bheinn Mòr (202m), the highest hill on The Oa. The sun had just started to break through after a quite cloudy morning. We were hoping to see an eagle and some choughs, we were only going to be lucky with the latter. But more about all that in the travelogue, hopefully latest by Saturday evening. Have a great weekend, whereever you are and whatever you do this weekend!